COEUR d’ALENE — Kate Orozco, director of elementary education for the Coeur d’Alene School District, says many life lessons are learned in kindergarten — how to listen, share, take turns and wait in line. “Social and emotional learning is absolutely critical at that age,” Orozco said. Five-year-olds also need to learn fundamental math and reading skills so they’re fully prepared for first grade, when academic learning takes center stage. In just a half day, it’s almost impossible to teach a roomful of young children social and emotional skills along with beginning number and letter concepts, Orozco said. Educators and 5-year-olds need a full day together. That’s why the Coeur d’Alene School District’s Board unanimously agreed to expand its all-day kindergarten programs to all elementary schools. Idaho pays school districts to run half-day kindergarten programs, which are optional. Idaho is also one of only four states in the country that does not fund pre-K programs. The Idaho School Boards Association encouraged the state to start funding full-day kindergarten, but nothing materialized this legislative session. So if districts want to offer full-day kindergarten, they have to pay the additional cost through levies, at the expense of other programs or services, or through tuition fees. Coeur d’Alene has been using its fund balance, or savings accounts, along with federal Title I funds to provide full-day kindergarten programs in four of its schools. This year, the district began to partially fund all-day, tuition-based kindergarten in two other schools. Adding another school to the four that already offer full-day kindergarten, at no cost to parents. These five schools were identified as those most in need of a free program for interested families. Adding tuition-based programs to the remaining six schools, with scholarships available to families who show a need. The district might have to hold a lottery if more parents are interested than there are seats available. But school officials hope they can eventually meet the needs of all interested families. Coeur d’Alene kindergarten teacher Gerry Bryak prefers to work a full day with her students. She said she’s not as rushed, she can expand the curriculum and the atmosphere is more relaxed. Orozco leads a district early-learning committee assembled to evaluate the academic, social and emotional needs of its youngest learners, and what it costs to meet those needs. The committee also may tackle advocating for lawmakers to support state funding for all-day kindergarten available to all Idaho children. 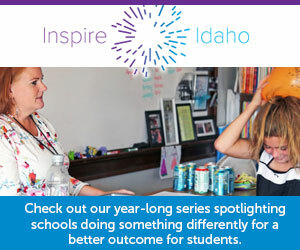 “People were begging for a different way to educate their children and I knew I could make the change,” said Coeur d’Alene School District principal Bill Rutherford.